The North Shore-LIJ Health System has invested more than $100 million to develop a state-of-the-art neighborhood medical complex at the National Maritime Building on the former St. Vincent’s campus. The 160,000-square-foot landmark building will include the first full service, around-the-clock Emergency Department in Manhattan, physician offices, and a specialized ambulatory surgery facility. In the development and implementation of this project, North Shore-LIJ/Lenox Hill has embarked on a journey to weave sustainability and social responsibility further into the fabric of their health system. Traditional temporary lighting environments typically employ materials that have a minimal upfront cost for the electrical contractor but they waste a significant amount of energy, require constant maintenance, and create an unsafe working environment. In order to comply with OSHA’s 5-footcandle requirement, it is common to utilize inefficient 100W incandescent bulbs (or CFL equivalents) placed at 10′ centers in hallways and smaller rooms. 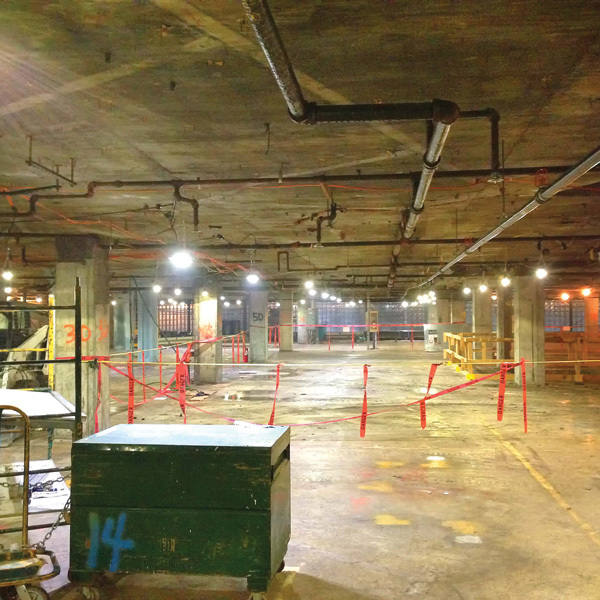 Larger open rooms are illuminated with naked 400W metal halide lamps spaced on 30′ centers. Both types of products are connected to high voltage “romex” temporary wire. From an energy and labor standpoint, the operational cost of this type of temporary lighting is an overwhelming “sunk cost”. Incandescent bulbs can draw as much as 1 watt/ft², and it isn’t uncommon to see a few highly paid electrician walking around large jobsites each and every day with the sole responsibility of changing light bulbs! From a safety standpoint, these legacy technologies utilize breakable glass and operate at dangerously high temperatures. CFL and HID bulbs contain mercury and other toxic heavy metals, which vaporize when lamps break and are then inhaled by workers and littered across construction sites. In addition, both CFL and HID bulbs emit levels of UV radiation that is harmful to the skin and eyes. Clear-Vu Lighting (CVL) worked with Lenox Hill Hospital, Turner Construction Company (the Construction Manager) and DiFazio Electric (the Electrical Contractor) to remove the traditional temporary lighting materials left on site by the demolition contractor and in its place, deploy the award-winning FLEX SLS Low Voltage LED Temporary Lighting System across the entire Lenox Hill project. By incorporating best of breed LED technology, the FLEX System has helped the Hospital achieve its sustainability goals in an area not previously considered – temporary construction site lighting. The FLEX System operates on the jobsite at less than 0.1 watt/ft² resulting in a ~90% reduction in CO2 and GHG emissions. The low voltage nature of the system has also addressed safety concerns. It has eliminated the electrical shock hazard associated with traditional temporary lighting. Furthermore, the LED modules do not contain mercury so it is safer for the workers on the site, and for the environment when the technology reaches end-of-life. Also, the FLEX System operates at a temperature that is never too hot to touch, thus eliminating the burn and fire hazards of traditional temporary lighting. 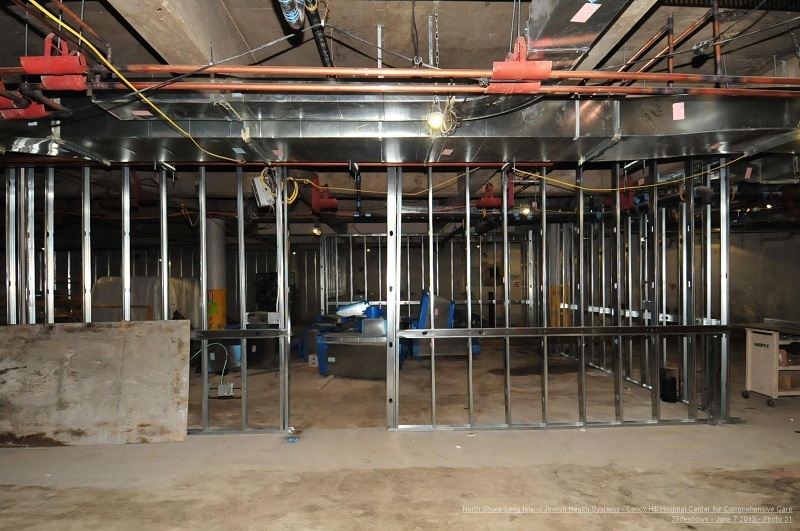 The FLEX System has been designed for reuse and will last not only for this entire project, but also for the next 2-3 projects undertaken by the Hospital. The electronic components are encased in impact grade polycarbonate and cast aluminum, surviving drop tests from over 16 feet. The FLEX System is a very different product than an LED “bulb” that one would buy at a hardware store. Rather, it is a low voltage system comprised of LED Modules, Drivers, and Low Voltage Bus Lines, which were designed specifically for the construction industry, with enhanced ruggedness and theft deterrence. Additionally, the unique T-connector makes the electrician’s job much easier to reconfigure the lighting as the project progresses. Almost $200,000 in electricity savings have been realized (or 1,000,000 kWh in energy usage). 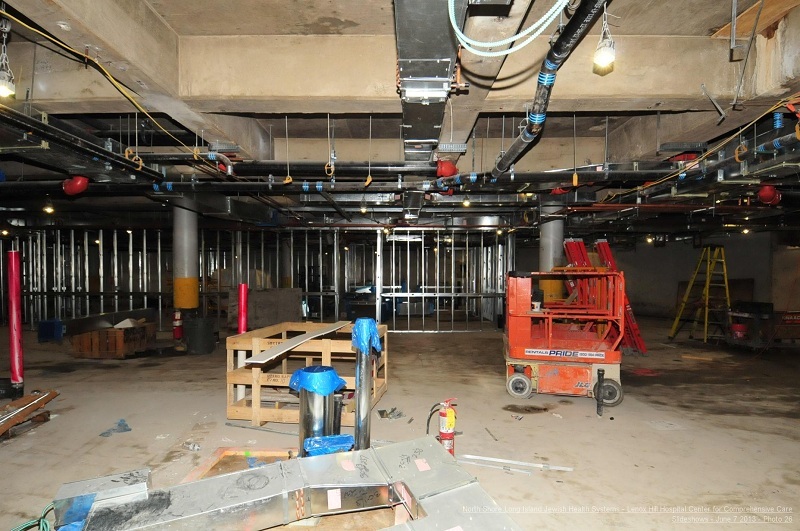 The Hospital will obtain a LEED ID credit for using LED temporary lighting. Not a single LED module had failed on the job, thus enabling the electrical contractor to focus on the important tasks of completing the project without having to waste time on bulb maintenance. The owner has saved significant capital and obtained a free LEED credit. The construction manager has created a safer work environment and improved their sustainability. 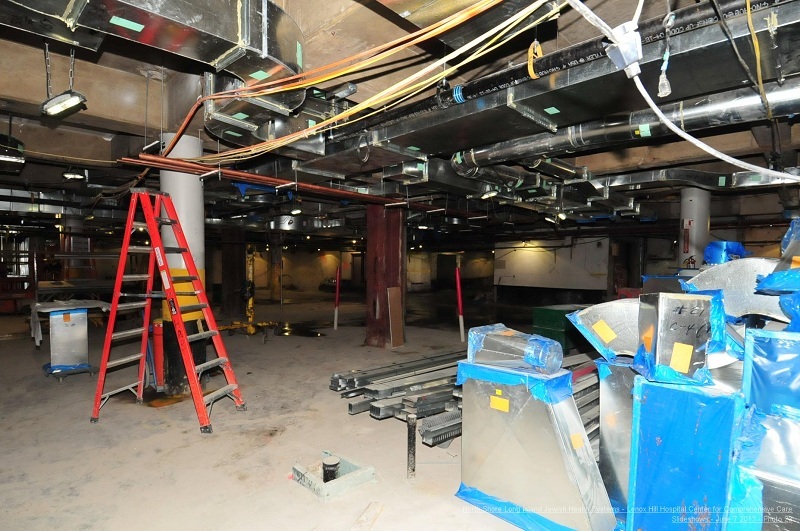 The electrical contractor has reduced its expenditure in maintenance labor.